Super cute split-level w/open floor plan and soaring ceilings! Bright, white kitchen w/island & beautiful hardwoods. Gas logs in the family room that leads out to the large, flat, fenced yard. Award winning school district! Conveniently located between Charleston & Huntington. 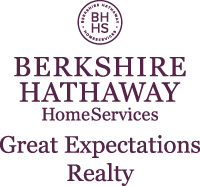 I am interested in 3011 Victorian Place, Hurricane, WV 25526. Sign up for Inside AccessTM to view recent sales near 3011 Victorian Place.